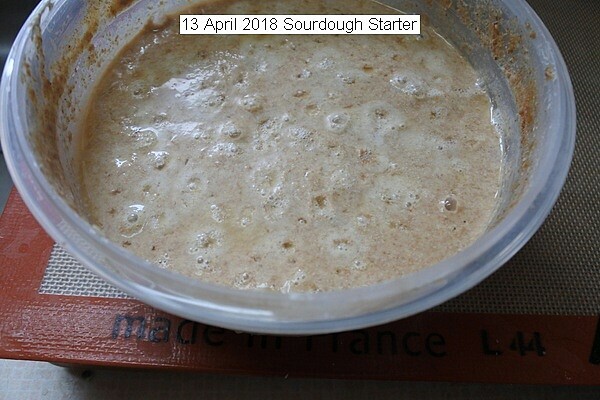 Sourdough Starter Bread. Sourdough yeast from the air starter. It gets fed daily with whole wheat flour kept at room temperature. It is finally very active.Notice the CO2 bubbles. About two pounds is used to make two loves of sourdough bread. It is much a learning experience. 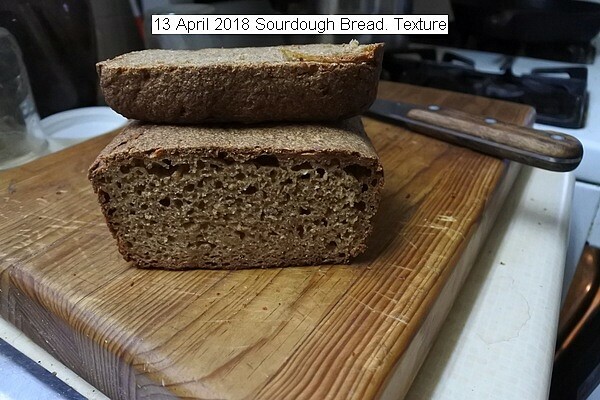 This entry was posted in Uncategorized and tagged 13 April 2018 Sourdough Starter Bread, 14 April 2018 Sourdough Bread, Sourdough Starter Bread. Bookmark the permalink.